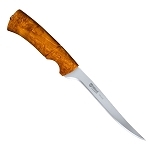 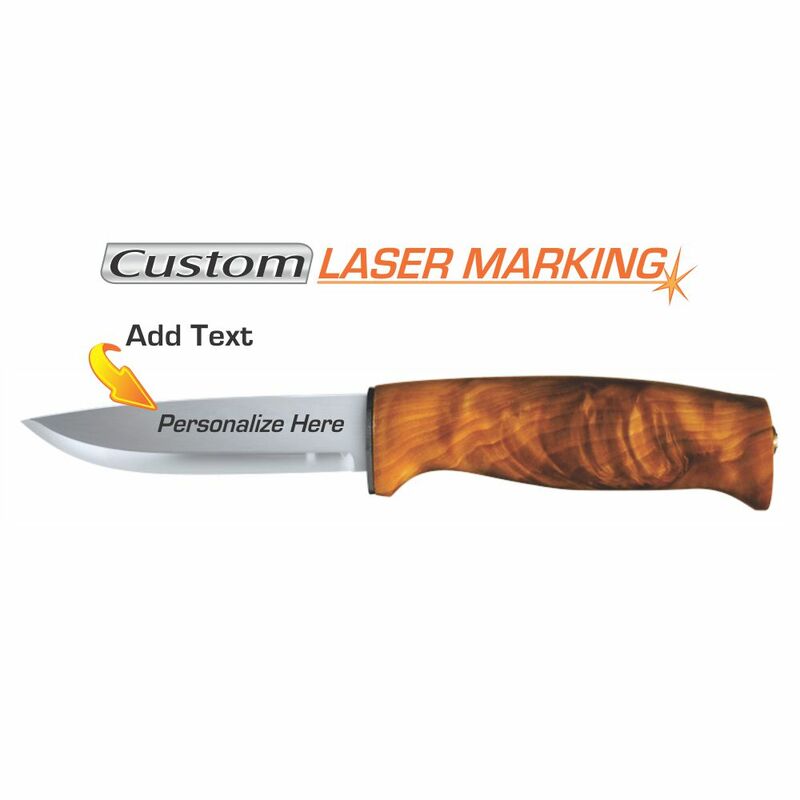 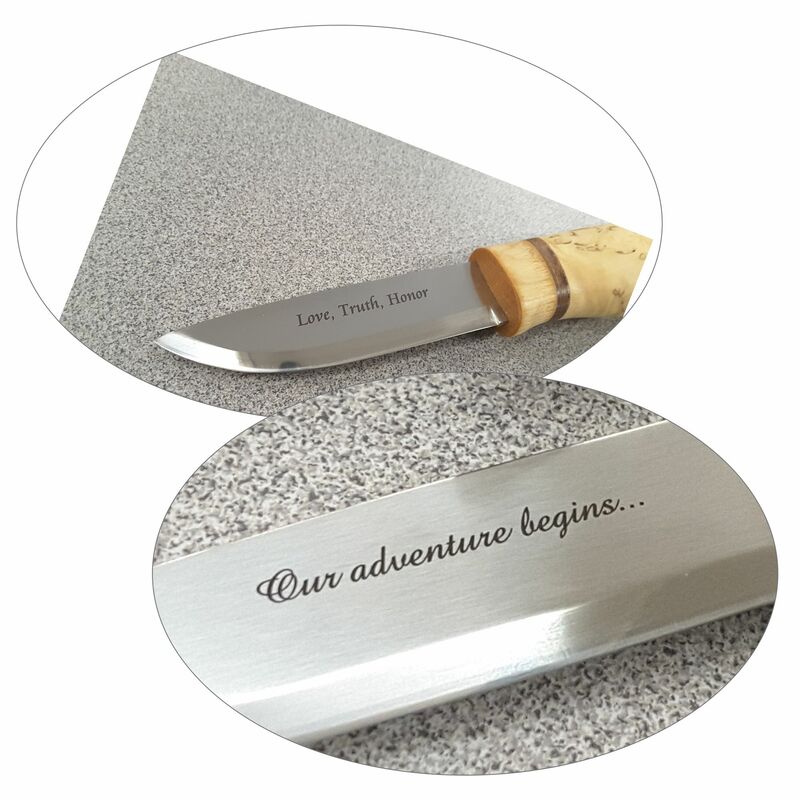 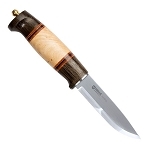 This highly polished laminated stainless steel blade is shaped for every day chores. 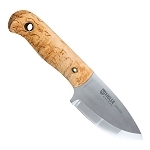 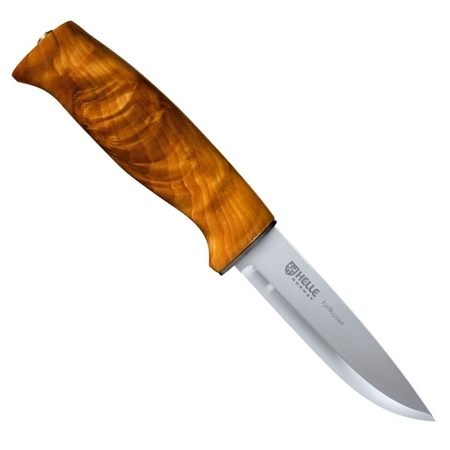 The comfortable grip is shaped to keep your hands off the blade. 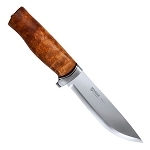 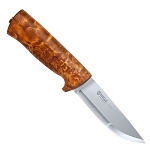 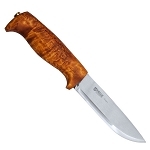 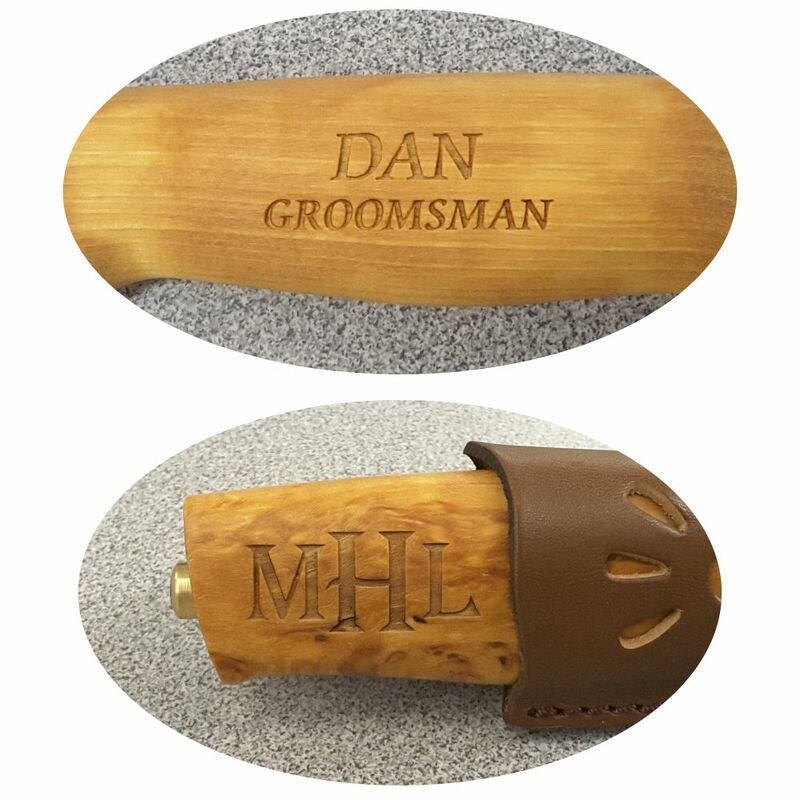 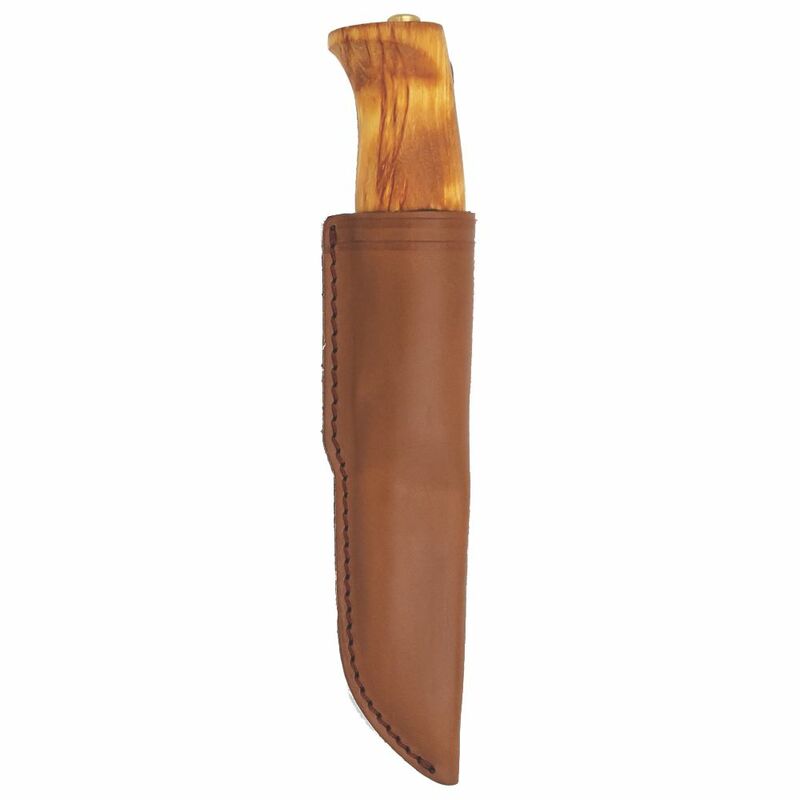 It comes with the traditional pouch style sheath that does not require a keeper strap.